Your medical record is a life-long history of your consultations, illnesses, investigations, prescriptions and other treatments. The professional relationship with the patient sits at the heart of good general practice and is based on mutual trust and confidentiality. The story of that relationship over the years is your medical record. If you move to another area or practice, we will send your medical records to the health authority to be passed to your new practice. However, we do keep a record of all entries into your records made whilst you were registered with this practice. You have a right to keep your personal health information confidential between you and your Doctor. This applies to everyone over the age of 16 years and in certain cases to those under 16. The law does impose a few exceptions to this rule but apart from those (listed below) you have a right to know who has access to your medical records. 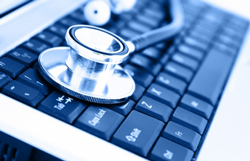 All our practice staff have full access to the computerized medical records system. They are governed by strict codes of confidentiality and will not disclose health information without your consent. It is our policy to have a single medical and nursing record for each patient. We firmly believe that this offers the best opportunity for delivering the highest quality of care from a modern primary care team. The practice employs locum GPs from time to time for holiday relief etc, who have access to the computerized medical records system. They are also governed by the same professional confidentiality as your GP and will not disclose medical information without your consent. The practice must keep the primary care trust up to date with all registration changes and must notify them of certain procedures that we carry out on patients under Enhanced Services where we are paid for performing these procedures. Local authorities and government agencies such as social services and the benefits agency may require medical reports on you from time to time. These may not include your written consent, but we will assume that you wish us to complete these reports in your best interest. Failure to co-operate with these agencies can lead to patients' loss of benefits or other support. Life assurance companies frequently ask for medical reports on prospective clients from their GP. GPs must disclose all relevant medical conditions in these reports. You can ask to see the report before it is sent back to the company: an appointment will be made with the GP and a £10 charge will be made as this is a private service. You can instruct us not to make a full disclosure, but we must then inform the insurance company of your instructions. To protect your privacy and confidentiality we will not normally disclose any medical information over the telephone or by fax unless we are sure that we are talking or faxing to you. This means that we will not disclose information to family, friends or colleagues about any medical matters at all unless we know we have your written agreement to do so. At Scarborough Medical Group, we store all patients' medical records on our practice computer system, SystmOne. The NHS is committed to developing electronic patients records (EPR's) so health information can be shared between the clinicians responsible for your care. Your GP is responsible for the accuracy and safe-keeping of your medical records and you can help us keep them accurate by informing us of any change in your name, address, telephone numbers etc and by ensuring that we have full details of your important medical history. We take regular action to protect your medical records from accidental loss or damage. We are required by law to allow you access to your computer and written medical records. Please contact our Practice Manager for further advice. All such requests must be made in writing. We are allowed to charge a small fee to cover our administration and photocopying charges. There is a balance between your privacy and good health care. We will normally share some information with other health professionals involved with your health care unless you ask us not to. This could include doctors, nurses, therapists, pharmacists and technicians involved in your investigation or treatment. These professionals may work for a variety of organisations such as the local acute and community NHS trusts, NHS England, Clinical Commissioning Groups (CCGs), social services or private hospitals. We are required by law to notify the government of certain diseases (eg meningitis) for public health reasons. Law courts can also require GPs to disclose medical records to them. Doctors cannot refuse to co-operate with the courts without risking serious punishment. We are also often asked for medical reports by solicitors; these will always be accompanied by the patient's written consent for us to disclose information. We will not normally release any details about other people contained in your records (eg wife children etc) unless we also have their signed consent. Limited information is shared with health authority including NHS England to help them organise national programs for public health (eg breast screening) and to monitor NHS activity (eg waiting lists). The NHS in England are changing the way we store and manage your health records. You can find out more by clicking the icon on the right.